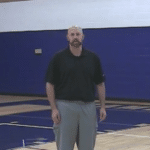 Archive "Tennis Ball Basketball Dribbling Drills"
Tennis ball basketball dribbling drills are great ball handling drills because they place added difficulty on the player dribbling the basketball. This is done by making the player focus on tossing and catching the tennis ball while also keeping their dribble alive. This allows the player to work on their ball handling while focusing on something else. In a game if the player has to worry about dribbling and is playing with their head down, they are not going to see the open teammate or be able to make the right play for their team. 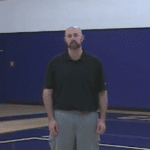 All of these basketball drills are in HD video and also come with written instructions and tips. 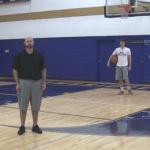 The expert basketball coach instructing the drill will breakdown the drill, and then a high level basketball player will demonstrate how to do the move. There are tennis ball drills for all different levels and ages as well so you will be able to start where you are comfortable and then progress from there. Tennis ball drills are a great way for your players to develop their handles, and although most of the drills are challenging at first for the player, the drills are fun at the same time. That means that your players are going to be motivated to work hard and continue to get better. These drills are great for non ball handlers as well because you are working on developing their hands and their hand eye coordination. So if you have a post player that is constantly dropping passes try using some tennis ball drills to help him/her out. 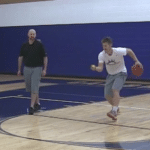 If you struggle as a player to dribble a basketball with your eyes up then tennis ball dribbling drills are for you. The goal of these drills is to take all of your focus off of dribbling the basketball and put it on tossing and catching the basketball. That way you will get comfortable handling the basketball and focusing on something else. This is important so that you can see the floor, read the defense, and then make the right play. You can’t do any of this if you are only focused on dribbling and not turning the ball over. So make sure that you add some tennis ball dribbling drills to your basketball training when you get in the gym. All of the drills below require a Pro Membership to view, but if you are interested in a sample of what we offer checkout our Free! Tab to see the 25 newest drills, workouts, and articles completely free or sign up for a free 7 day Pro Membership Trial and get full access to the website and our complete database of 1,000’s of basketball training videos. The 3 dribble toss double crossover tennis ball basketball drill is a great basketball dribbling drill to work on the double cross move while also being able to work your hand eye coordination. This is an intermediate tennis ball dribbling drill and the goal of this drill is to work on the double behind the back move, hand eye coordination, and over all ball handling skills. 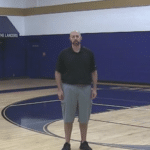 The goal of this basketball tennis ball drill is to help you learn to make the double between the legs move but also learn to do it with your eyes up. Tennis ball basketball dribbling drills are great because they challenge the dribbler more then they would be challenged in a game. The 3 dribble toss double rhythm tennis ball basketball drill will challenge you to have quick hands because you have to complete the move and catch the tennis ball each time before it hits the ground. The number tennis ball toss one move basketball dribbling drill will not only make you a better ball handler but it will help you to learn how to think while you are dribbling the basketball. This tennis ball drill is going to force the player to keep their eyes up and do the between the legs move quicker than they normally would. This tennis ball drill is going to work on developing a quick crossover and the players ability to keep their eyes up the entire time. The 1 dribble toss behind the back tennis ball drill is going to work on the behind the back move with an added level of difficulty from the tennis ball. This progression dribble toss reverse between the legs tennis ball drill is going to help the player work on their handles and hand to eye coordination. The toss reverse between the legs tennis ball drill is going to help the player develop quick handles, and also teach them to dribble with their eyes up. The toss behind the back tennis ball drill is going to help the player work a specific move, but also their overall handles and hand eye coordination. This tennis ball drill is going to work on the between the legs dribble move, but also the players ability to keep their eyes up and hand eye coordination. 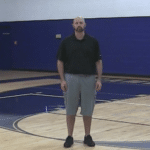 The toss crossover tennis ball drill will help the player develop quick handles and also force them to keep their eyes up off the basketball the whole time. The toss rhythm dribble tennis ball drill is an advanced drill that will really help the player to develop quick hands, and handles. The combo move tennis ball number basketball drill works on ball handling, hand eye coordination, and being able to think while dribbling the basketball. This is an advanced tennis ball drill that is great for working on developing quick hands and dribble moves. The toss double behind the back tennis ball drill is going to work on doing a double behind the back move and also work on your hand coordination. 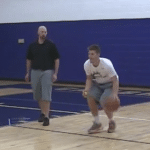 A great way to develop your basketball handles is tennis ball dribbling drills. 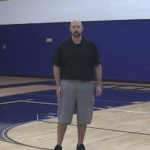 For this basketball drill you are going to work on the double between the legs figure 8 move. The toss double crossover tennis ball drill is an advanced tennis ball drill that is going to work on ball handling and hand coordination. This tennis ball dribbling drill will help you to be able to learn how to control your dribble, keep your eyes up, and work on the double reverse between the legs dribble move. 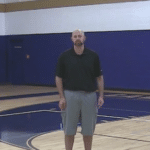 This dribbling drill is going to help you work on four different moves that you can master and then use in a game situation.